A U.S. federal judge halted a deportation that was in progress, and threatened to hold Attorney General Jeff Sessions in contempt if the mother and daughter weren't returned to the country. A U.S. federal judge on Thursday halted a deportation in progress and threatened to hold Attorney General Jeff Sessions in contempt if the mother and daughter weren't returned to the country. The woman — identified in court as Carmen — is a plaintiff in a lawsuit filed this week against the administration by the American Civil Liberties Union over efforts to prevent immigrants from seeking asylum because of domestic and gang violence in their home countries. 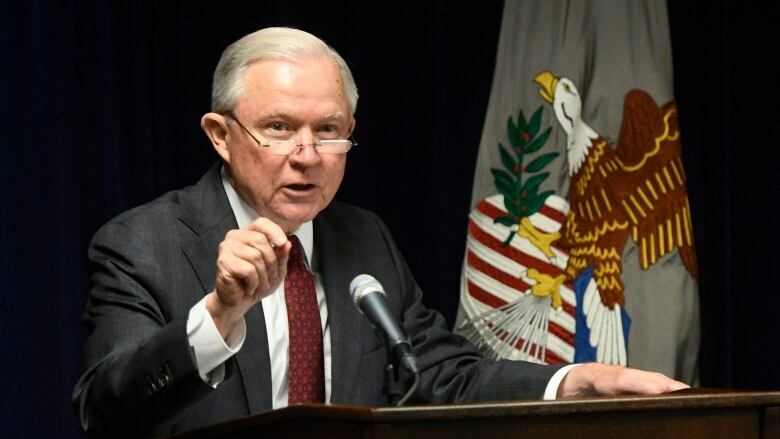 The lawsuit asks the judge to invalidate Sessions's June 11 decision to restrict the kinds of cases that qualify for asylum. U.S. District Judge Emmet G. Sullivan of Washington learned in court that the two plaintiffs in the lawsuit before him were being removed from the United States, and confirmed later that they were on a plane headed to Central America. He said any delay in bringing them back would be intolerable. If they failed to comply, the judge said, Sessions, Homeland Security Secretary Kirstjen Nielsen and other senior Homeland Security officials would have to convince him not to hold them in contempt of court. 'If I go back, they'll kill me': An undocumented migrant from El Salvador pleads for help in the U.S. The judge imposed a halt Thursday on deporting Carmen, her daughter and six other plaintiffs. The Justice Department declined to comment on the judge's threat of contempt.